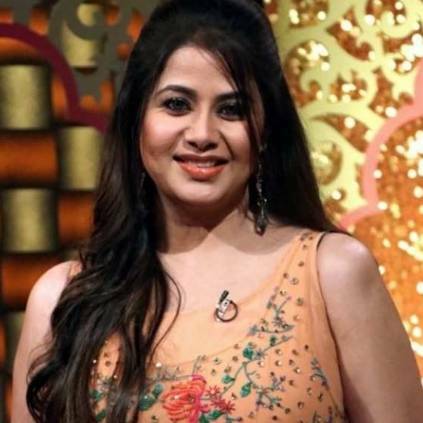 Actress Sangitha Krish who is known for her performances in Pithamagan, Manmadhan Ambu and many other films. The actress got married to playback singer Krish and the couple is also blessed with a 7 year old daughter. Recently she was surrounded by controversies that revolved around her personal issues with her mother. Her mother had recently complained in Tamilnadu State Association for Women that Sangitha had sent her away from her house at this old age and had also tried abducting the house she has lived in since then. This created a pool of controversies when it came out in public. Krish and Sangitha had met with authorities from Tamilnadu State Association for Women and given their clarification regarding the same. Post this, she had posted something for her mother on Twitter which has gone viral now. She had thanked her well wishers for being there for her always and to all film lovers, she said its not easy to be an actor. In her post, she has stated the issues she had with her mother but as a thank you note. She has thanked her mother for bringing her into the world and then thanked her for making her work from age 13, exploiting her for the comfort of her alcoholic and drug addicted brothers and for cornering her as she didn’t budge to her decisions, for not getting her married at the right age and for disturbing her husband and spoiling her family’s peace. She had also thanked her for teaching her how a mother shouldn’t be.At last she thanked her mother for all the false allegations and latest accusations and stated that because of all these she has now evolved as a fighter, a very mature, strong and bold woman from a dumb kid. She had also said she will proud of her when she steps out of her ego, one day. People looking for online information on Sangeetha will find this news story useful.